The beautiful Russian doll is hand crafted by the Russian artist from the town Sergiev Posad (old center of folk crafts). The bottle is 13" tall and comes apart in 4 pieces. 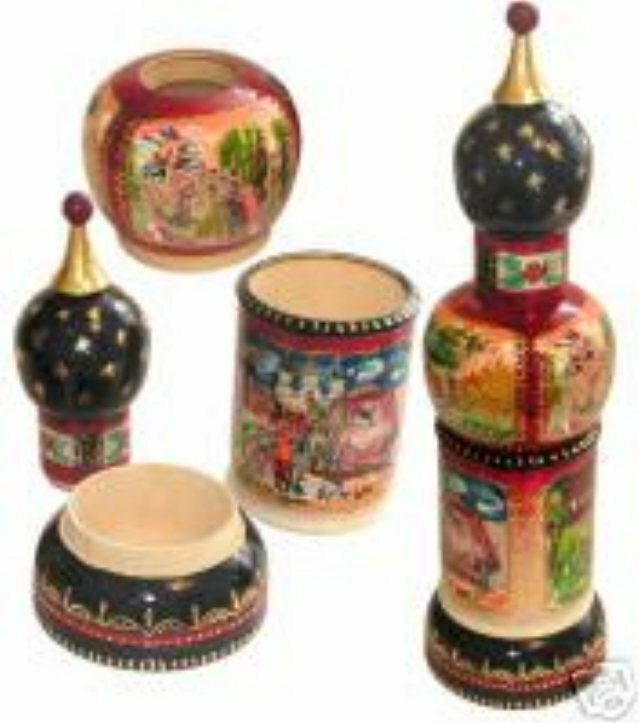 It is made of linden wood and hand painted with a glossy lacquer finish. The bottle features scenes of Russia with a starry cupola top.